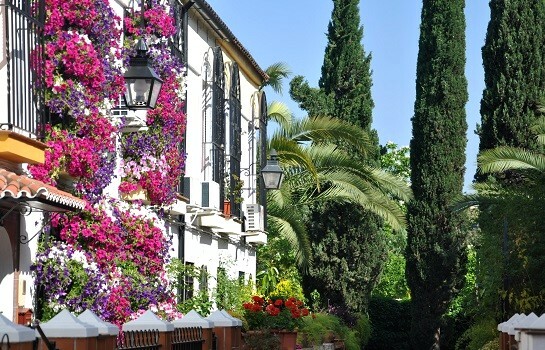 On the occasion of the Patio Fest, there is another contest bringing the beauty of splendid flowerage to the streets of Cordoba’s historic district: The annual Balconies and Window Grilles Contest. This tradition is another highlight among major activities accounting for the so-called Mayo cordobés (May in Cordoba). The contest is dedicated to choosing the most beautifully adorned balcony and window grille, as the case may be. Literally offering a sea of flowers and providing an awesome contrast to the white-washed walls, these balconies and grilles are favorite photo scenes for shutterbugs and professional photographers.